As the end of the year approaches, we urge you to put these event dates into your diary! National Science Week 2017 will run from 12-20 August. Sydney Science Festival runs from 10-20 August and expressions will be open for one month from 1 February 2017. A second round of Inspiring Australia (NSW) event funding targeting Science Hubs will be announced in late February 2017, and the National Science Week federal grant recipients should be announced around that time as well. National Science Week (12-20 August 2017) is Australia’s longest running festival and Inspiring Australia’s flagship community engagement campaign, reaching around 1.4 million people each year with more than 1800 events. The national online calendar is widely promoted in print, on TV and radio and through social media channels. It provides a fantastic platform for amplifying the reach of your public engagemnt programs. Next year’s National Science Week schools theme is Future Earth, and schools grants of up to $500 per school will open in April 2017. Anyone is welcome to join the national celebration of science by adding their event to the national calendar at www.scienceweek.net.au. The campaign website also provides tools and resources to help you host a successful event. Start planning your activities now and don’t miss the chance to add your event to this well-known campaign! For the past two years, Sydney’s science, technology, engineering and maths stakeholders have joined forces to under a new Sydney Science Festival umbrella brand. This collaboration has enabled us to achieve impressive engagement results for National Science Week in Sydney, growing our audience numbers from 25,000 to 63,000 in just two years through a unified website and marketing approach coordinated by the Museum of Applied Arts and Sciences. In 2016, the website promoted 135 Sydney Science Festival events presented by 65 organisations, including Sydney’s universities, research institutes, museums, galleries, parks and gardens and libraries. 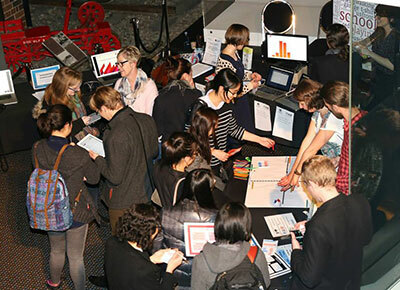 All are welcome to submit events for consideration in Sydney Science Festival through an online expression of interest process that will be open from 1 February to 10 March 2017. Events will be assessed by a Program Committee against criteria that include relevance, quality, engagement and feasibility. Next year’s National Science Week schools theme is Future Earth. The annual schools’ grants will be announced in April 2017, with schools encouraged to apply for $500 towards science projects. A free teacher resource book will also be developed by the Australian Science Teachers’ Association and published online to provide teachers with lesson plans and activity ideas. The Australian Museum Science Festival will again run its popular schools program over a two-week period. With hundreds of activities on offer from coding and robotics to life science and forensics presented by some of Sydney’s leading research organisations, schools are encouraged to consider booking in early to take advantage of this program that has been running for over ten years. The primary school week runs for 8-11 August# and the high School week runs from15-18 August# with Super Science Saturday in between on 12 August. Visit http://australianmuseum.net.au/science-festival or contact the Australian Museum program staff for more information on on 9320 6389 or see@austmus.gov.au. Jackie Randles is the Manager Inspiring Australia (NSW).